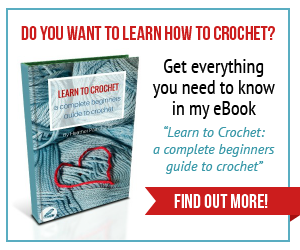 Are you ready for more crochet? This has got to be my favorite market bag so far. 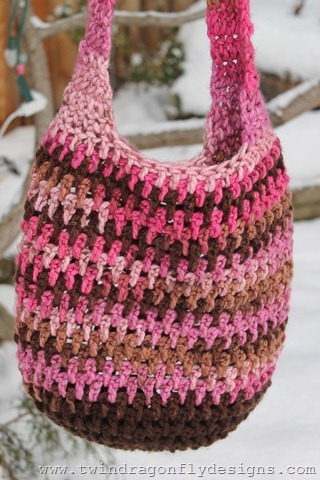 I used this fabulous pattern from Daisy Cottage and chunky Charisma yarn from Loops and Threads. 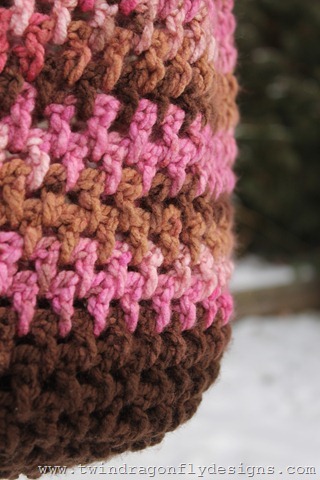 I love the variegated look of this yarn. I paired it with a dark brown bottom. Love, love, love! You can find this pretty Market Bag in my shop. How gorgeous! Love the colors too!Thanks so much for sharing. Would love to have you visit me sometime. 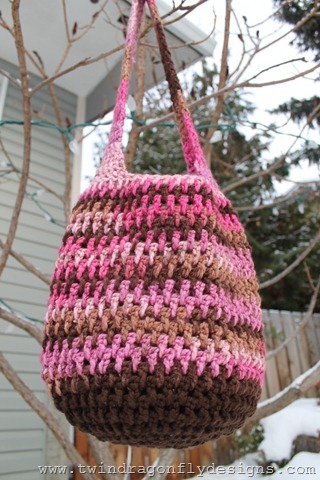 So I see you used a pattern for this lovely bag, but used a different weight yarn. I have a ton of charisma I am wanting to use, so this would be perfect. 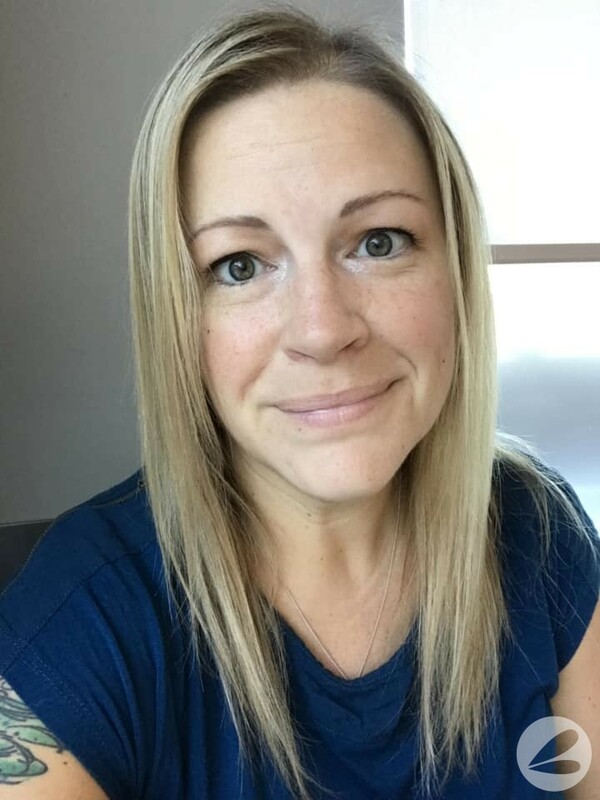 Did you use the child or adult pattern? 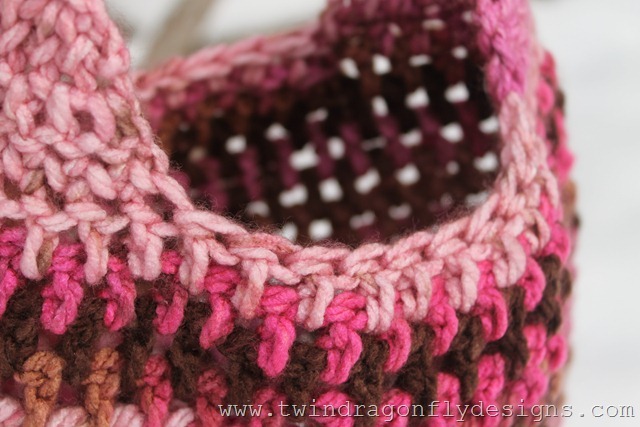 Did you make any changes to the pattern with using the large weight yarn? Thanks! I used the adult pattern with no changes. Have fun!